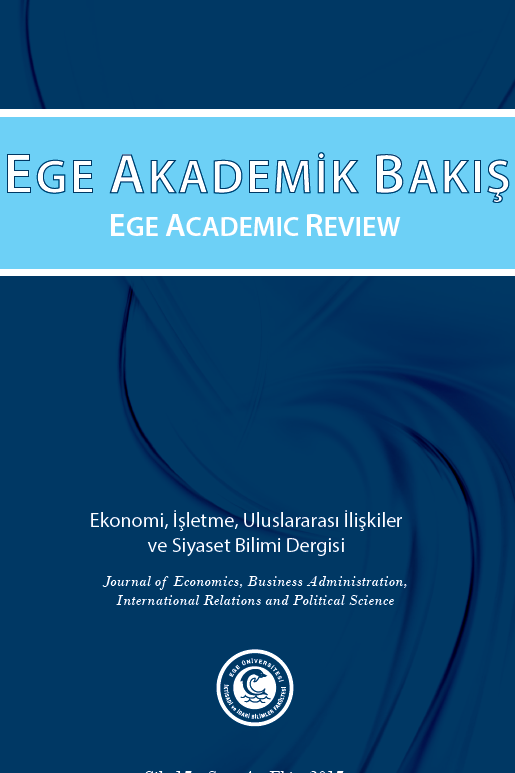 ﻿Ege Academic Review published by Ege University Faculty of Economics and Administrative Sciences includes international papers about economics, business administration, international relations and political science with the aim of providing a forum for academicians, researchers and professionals interested in these fields. Ege Academic Review is a double blind peer-reviewed international research journal with a quarterly publication frequency. The journal, published by Faculty of Economics and Administrative Sciences of Ege University, accepts both applied and theoretical studies on business, economics, political science and international relations to provide a forum for the exchange of ideas among academics, researchers, and professionals interested in these fields.